Welcome to the historic Nu Wray Country Inn located in the heart of Burnsville, North Carolina. 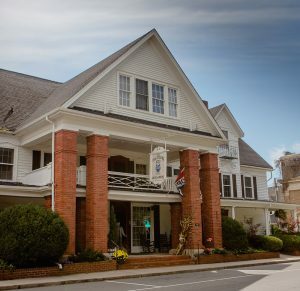 This Inn is THE perfect venue for meetings with family, coworkers or just friends and great destination hub for your Western North Carolina adventures. From the moment you enter this landmark house, history surrounds you. The Nu Wray has provided hospitality in its comfortable rooms for generations of travelers including Thomas Wolfe, Elvis Presley and Christopher Reeves. Come relax on the front porch rocking chairs or walk about and simply enjoy our gardens. And beginning in August of 2015, we will rekindle a long standing tradition of Country Style Dining when we re-open our dining room again for daily family style meals. Conveniently located on the Burnsville Town Square, the Nu Wray Inn is located within walking distance to shopping, live theater, dining and a multitude of local arts and crafts. 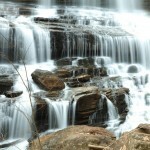 During your stay, enjoy nearby fishing, hiking, horseback riding, tubing, and swimming in the famous Toe and Cane Rivers. We’re close to Mount Mitchell and Penland School of Crafts, and the famous Parkway Playhouse is a mile from our front door, and we are but a short drive from Asheville and the infamous Biltmore Estate.